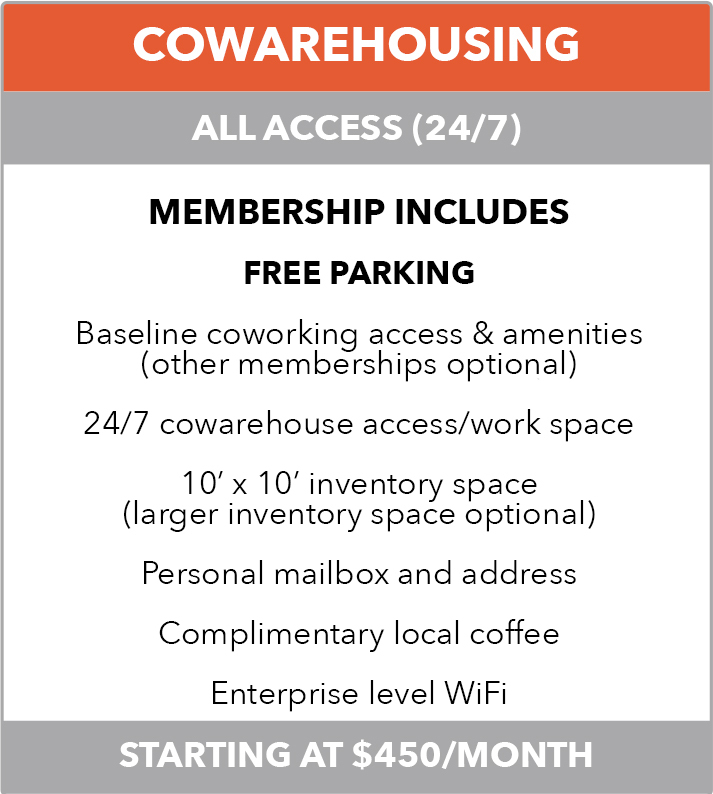 Co-warehousing & Fulfillment Space Loading Dock Raleigh's mini hub for growing companies, including consumer product and e-commerce, is now open for business! Loading Dock Raleigh's mini hub for growing companies, including consumer product and e-commerce, is now open for business! The co-warehousing and fulfillment space will offer areas of 100 to 150 square feet for companies to store product or materials, a fulfillment and staging area for packaging and preparing items to ship, a FedEx shipping and label station, easy access to the loading dock, and many more amenities. We've also negotiated with FedEx for cheaper shipping rates and daily pickups for our members. Our one-stop shop for do-it-yourself fulfillment is perfect for "in between” companies who don’t need or can’t afford their own facility, but hope to move their business out of their living room, garage or storage unit. Most importantly, we are excited about the collaboration and knowledge sharing that will come from multiple companies working alongside each other here at Loading Dock Raleigh!